Today on the blog, learn 7 creative ways to use Muck Rack’s Who Shared My Link tool from Muck Rack PR manager Emma Haddad. Overnight, there was an active shooter reported at a school in North Carolina. It actually turned out to be a malfunctioning water heater, the AP reports. Neal Katyal and George T. Conway III write in the New York Times Opinion section that Trump’s Appointment of the Acting Attorney General Is Unconstitutional. David Joachim points out that, “@gtconway3d [is the] husband of @KellyannePolls.” ”And it means that anything Mr. Whitaker does, or tries to do, in that position is invalid," Jennifer Epstein quoted from the piece. An opinion piece at the Washington Post insists Matthew Whitaker is a crackpot. You can thank Ruth Marcus for that headline. “There really are no limits to high how stupidity can rise,” Robert Gebelhoff wrote. For more on Matthew G. Whitaker, read Carol Leonnig, Rosalind Helderman, and Robert O'Harrow Jr.’s report in the Washington Post that before he led the Justice Department, Whitaker promoted a company accused of deceiving clients. 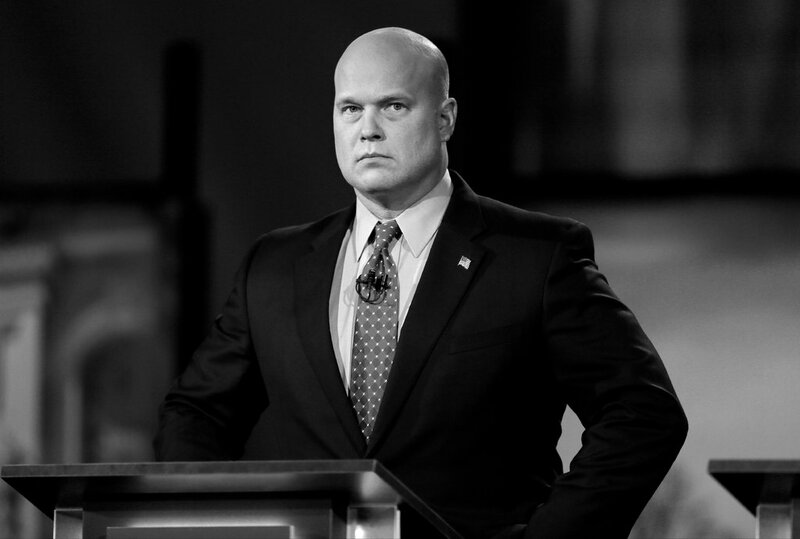 “Said one former World Patent Marketing customer who lost $77,000 of Whitaker: ‘It’s really upsetting to know that guy will be attorney general. It’s so offensive. It’s like a stab in the back,’” Matea Gold tweeted. The White House shared doctored video to support their punishment of journalist Jim Acosta, Drew Harwell wrote at the Washington Post. David Bauder and Calvin Woodward at the AP backed that up when they got an expert to state on the record that the Acosta video distributed by the White House was doctored. Christine Blasey Ford’s Lawyers Say The Kavanaugh Accuser Continues Receiving Threats, according to Tim Mak at NPR. “Christine Blasey Ford is still being harassed after leveling sexual assault allegations against now-Supreme Court Justice Brett Kavanaugh,” Louisa Loveluck added. Yesterday, we asked: Who was the first pro athlete to be named People Magazine’s Sexiest Man Alive? Answer: It was David Beckham back in 2015. Congrats to trivia regular Craig Pittman for being the first to tweet the correct answer. Your question of the day for today is…Actress Alisa Bogart stars in the Russian adaptation of what network TV show?